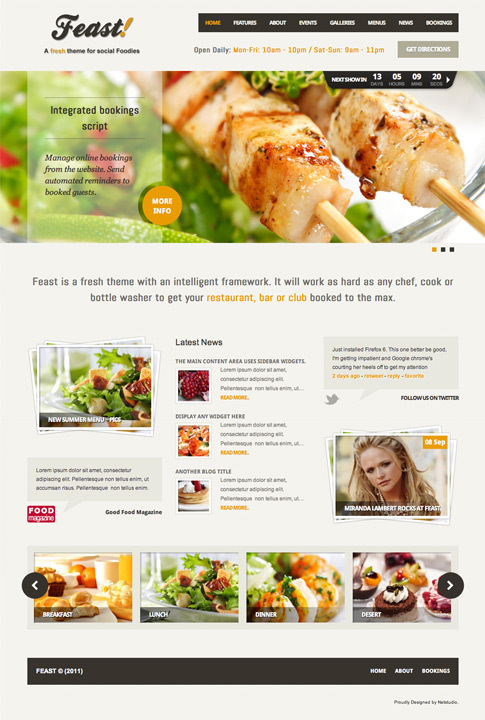 Feast premium WordPress theme is an intelligent template with unique features. It’s easy to use, easy to customize and most importantly, it ads functionality not to be found in any other WordPress theme. Make sure to check out Feast premium theme at the end of this post! Come back and check out the showcase as we find more sites from around the web using Feast.